Do you have plans to build a new warehouse, manufacturing facility, retail store, or office building? Would you like to expand an existing facility to add more work space or storage options? Pre-engineered metal buildings were designed to be the most economical construction method for larger buildings. Even today, it's hard to beat the cost per square foot, but it is the versatility of today's pre-engineered buildings that make them so popular... even on smaller projects. Brecknock Builders has been committed to excellence in construction since 1986. We have carefully assembled our team that is ready and able to serve you with every aspect of your project - from thoughtful design to turnkey completion. Steel or Wood. We do both! Because we have the team to handle both steel-frame AND wood-frame construction, we're one of the few builders that can handle almost any project from start to finish. That means we'll walk with you through the design and permit stage, we'll break ground and assemble your new steel building, and we'll oversee the plumbing, electrical, and everything else that is needed to finish your building. The result is a turn-key building just waiting for you to move in. ​Explore your options with Brecknock Builders, a leader in custom, pre-engineered steel construction throughout Lancaster County and the Central Pennsylvania area! Are you a Builder? We'll Build For you! We can assemble steel buildings made by ANY major steel manufacturer. We have our own dedicated, pre-engineered steel construction crew, along with an extensive fleet of equipment specially designed to assemble steel-framed buildings for you. We'll do it quickly, safely, and to your exact specifications! 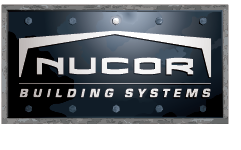 In addition, we are a trusted dealer for a number of steel building manufacturers including Ceco Building Systems, Nucor Building Systems, Corle Building Systems, and Trachte Buildings Systems. So if you only need help with the steel-frame portion of your project, let us work for you. Our in-house designers will work with you to create the perfect pre-engineered metal building to meet your needs. In addition to detailed blueprints, we also can provide 3D pre-visualizations so that you can see how your new building is going to look before we ever break ground.